I found my favourite commercial ice cream on my second trip to Canele at Raffles City. 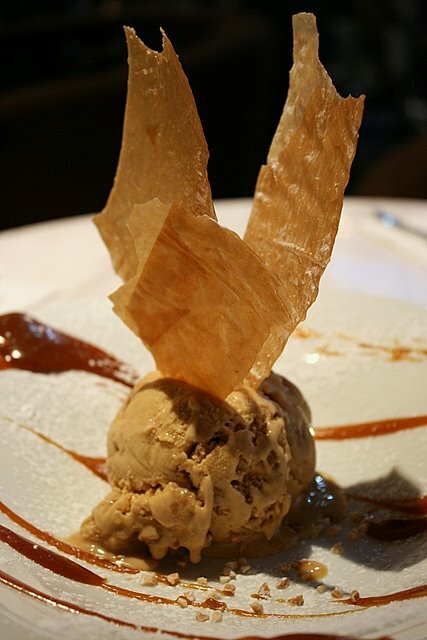 The Nougatine - praline ice cream with hazelnut nougatine, salty caramel and caramelized filo pastry! Where do I begin to describe the wonderful sensations this dessert yields? Do I describe first the smooth, creamy cold ice cream with crunchy, sugary nougatine bits? The thick lashings of salty caramel with the merest hint of salt to lift the sweetness beyond delicious? The delicate, crinkly, caramelized filo pieces that lend dramatic visual height to the dessert? Or how the textures and tastes contrast and blend at the same time? I'll just say one word - heavenly! Le Royale is one of their signature cakes. Chocolate mousse 66% layered with hazelnut feullitine, almond success and chocolate genoise with rum. It's very rich and thick. Not bad. But I think I prefer Obolo's Noisette. We find that the cakes from the display showcase taste a wee bit stale. 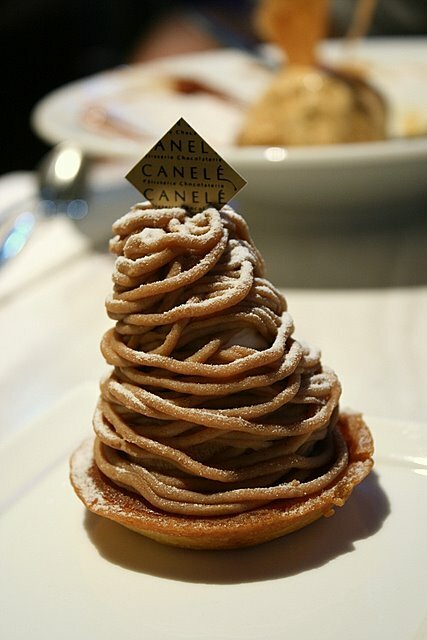 This Mont Blanc, like the Le Royale, came from there. Chestnut cream and vanilla chantilly on an almond tart. Even with very differing tastebuds, neither hubby nor I liked it. Oh well, not everything is a winner. 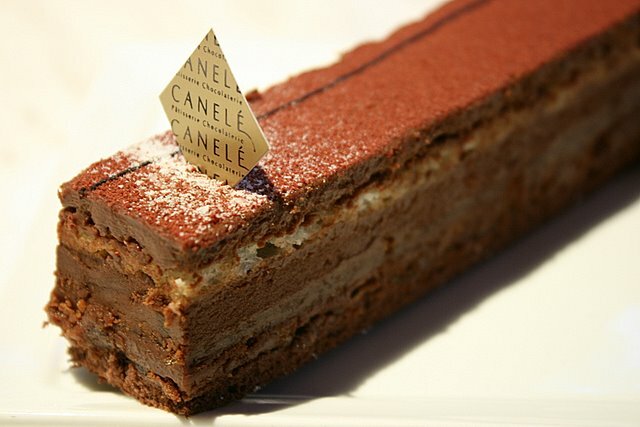 gosh, i have been saying this since a long time ago, but i haven visit canele too!! a bit hard if no one to go leh, cos if onli two person go also cant order much!